While the Indian media continues speculation over the 'luxury' 6-seat variant of the Ertiga, Indonesian media have found a confirmation of the rumoured crossover variant codenamed YHB. 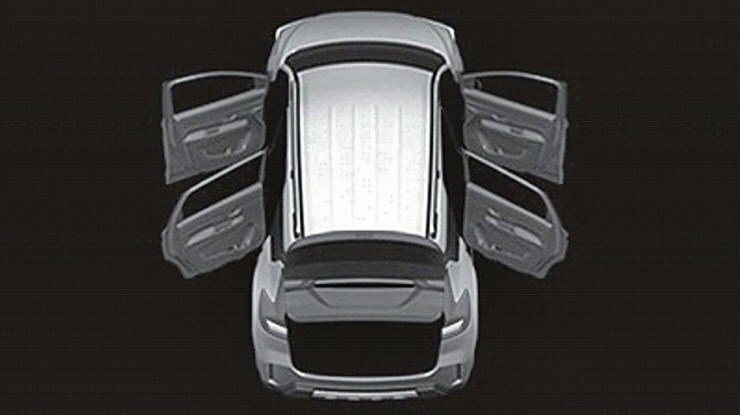 The new crossover Suzuki Indonesia is planning will likely help it offer something more solid against the Mitsubishi Xpander and the Honda BR-V.
A leaked internal document, apparently sent by Suzuki’s Indonesian subsidiary to its headquarters outlining the plans for 2019, has confirmed the latest development. “Around the end of 2019, we are going to introduce New SUV derived from All New Ertiga with sales plan of 30,000 units,” the document states. At the end of 2018, an image of the new Suzuki crossover had leaked. The new crossover Suzuki Indonesia is planning will likely help it offer something more solid against the Mitsubishi Xpander and the Honda BR-V. It will feature additional body cladding, faux silver skid plates, uniquely designed bumpers and maybe even larger alloy wheels. Inside, it could stand out from the standard Ertiga with a distinctive colour scheme and upholstery, and maybe even an automatic climate control system. One can expect a slightly higher ground clearance (+180 mm) as well. Meanwhile in India, Maruti Suzuki reportedly plans to split up variants of a model between its two retail channels. The Ertiga has gone to the regular Arena outlets in its standard form, while a more upmarket variant is in the works for the NEXA chain. The Maruti Ertiga for NEXA outlets will have a higher focus on passenger comfort and feature individual seats in the second row, making the MPV a six-seater. On the outside, it could have LED projector headlamps, 16-inch alloy wheels and additional chrome garnish. The paint options would include an exclusive Nexa Blue colour. An image of the second generation Ertiga-derived crossover had leaked last year. The Maruti Ertiga will receive an all-new diesel engine option next month, the in-house developed E15A 1.5L unit, along with an all-new 6-speed manual transmission.